Whilst birdwatching near Jubail I saw a number of Grey-headed Swamphens including one that stayed very close and came so close I could not fit it all into the frame. 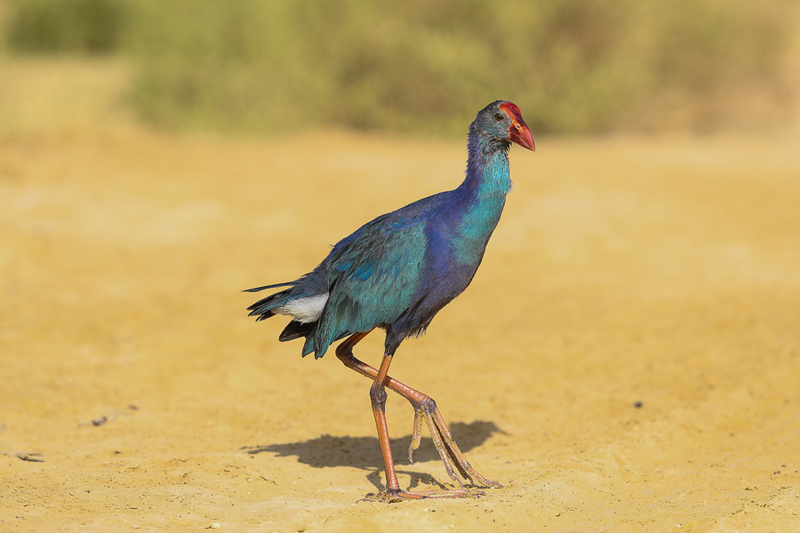 Purple Swamphen Porphyrio porphyrio has been split into five species largely in accordance with Sangster 1998 and Garcia & Trewick 2015 into 5 species with Grey-headed Swamphen P. poliocephalus occurring in Saudi Arabia. This has been confirmed by Steve Trewick from DNA samples I sent to him for analysis. 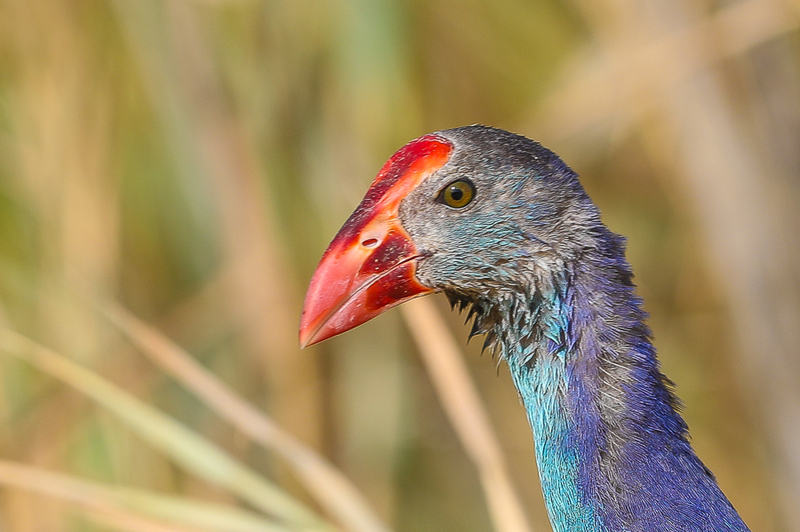 Swamphens from Saudi Arabia now comprise both breeding Grey-headed Swamphens in the Eastern Province and African Swamphen P. madagascariensis which is a Vagrant with two records. A record of an adult at KAUST near Jeddah in September 2013 remained for at least three weeks before being killed by a car and two together at Dhahran percolation pond in December 2014 for several days.